If you are feeling adventurous, consider travelling off the beaten path on your next visit to Europe. English speakers may be harder to come by in these less well-trodden places and you will really benefit from language lessons in advance of your trip to help you navigate your way around. At The Modern Language School in Huddersfield, classes start from just £4.75 an hour. Contact us to arrange your lessons so you can make the most of your European adventure. www.modernlanguageschool.co.uk . 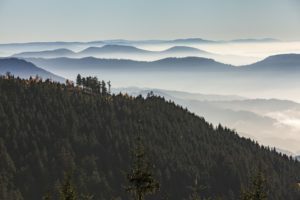 If you want to see a different kind of Germany, get on a train or rent a car and head south into the Schwarzwald (Black Forest). So called because of its dark canopy of evergreens, this is where Hansel and Gretel met the wicked witch. It’s an expanse of hills, valleys, rivers and forests, bound by the Rhine valley to the west and south. 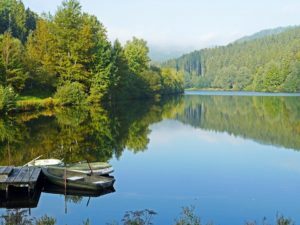 In this part of Germany you will only ever be 20 minutes or so on foot from nature, or 5 minutes by bike, whether it be quiet countryside dotted with farmhouses or thick forest. The Black Forest is the home of the cuckoo clock. In Schonach, you can visit the Rombach and Haas shop and talk to the clockmakers. They create cuckoo clocks entirely by hand, maintaining a tradition from the 18th century and are happy to talk to holidaymakers about their craft. Watch out for our next tip on European travel: Italy.